On a long bomb by Eli Manning, Beckham was racing down the sideline when he leaped up and caught the pass with one hand over and behind his head as he was falling backwards into the endzone. 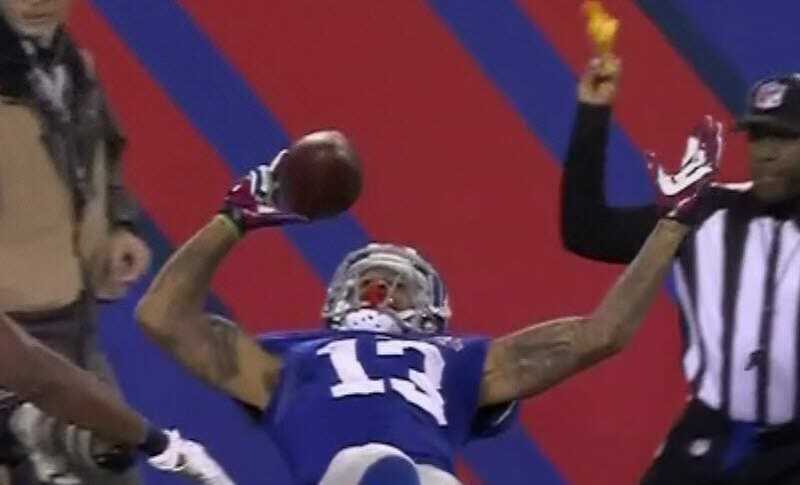 As if that wasn’t amazing enough, he made the catch despite being interfered with. Here is another view that shows how he landed in bounds in the endzone after catching the ball. 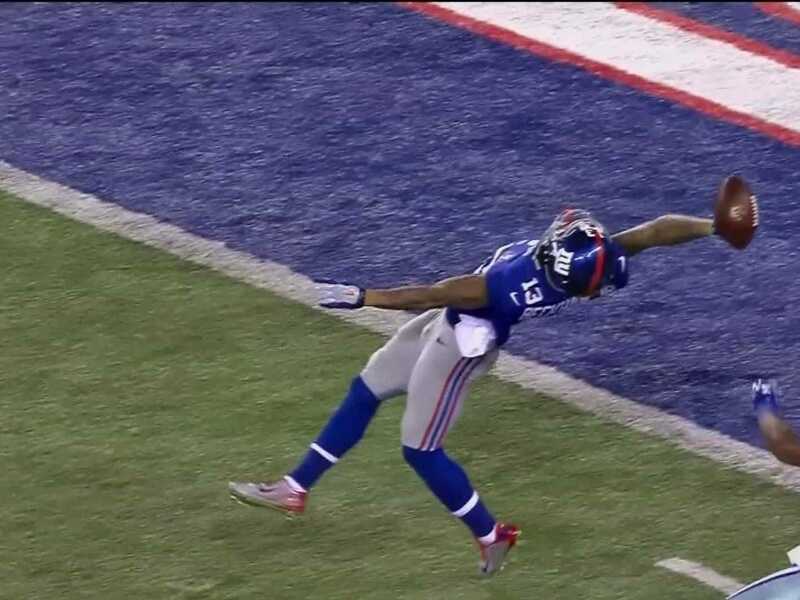 Absolutely insane catch, and he did it with just three fingers.